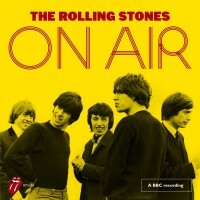 The Rolling Stones are set to release a new album, ‘On Air’, a selection of BBC recordings from the 60’s. The track-listing will comprise of original Stones tracks along with some covers. The audio has gone through an extensive process called ‘Audio Source Separation’ at Abbey Road. In short, it means a de-mix process ahead of a traditional multi track remix and master.